Rufus Wayne Youngblood Jr. was the United States Secret Service (USSS) agent known for his actions while protecting Vice President Lyndon B. Johnson during the assassination of President John F. Kennedy. During his twenty-year tenure, 1951-1971, in the USSS, he served Presidents Truman, Eisenhower, Kennedy, Johnson, and Nixon. Youngblood was born in Macon, Georgia, on January 13, 1924. When he was fifteen months old, his father, a train conductor, was killed in an accident in which he heroically prevented a train collision. Youngblood’s mother and sister relocated to Atlanta, Georgia, to live with family, while he remained in Macon fostered by the Hiram C. Bond family. During grade school, he reunited with his mother and sister in the West End area of Atlanta where he met Peggy Elizabeth Denham. She would become his high-school sweetheart and, later, his wife. An intellectual student, Youngblood graduated from Atlanta's Technological High School with honors in June 1941. Months later, the Japanese attacked Pearl Harbor, and he promptly enlisted in the United States Army Air Corps at seventeen years of age. He became a waist gunner in the Eighth Air Force and flew combat missions during the early European air campaign. He earned an Air Medal and Purple Heart during his tour of duty. His crew, whose plane often flew next to the Memphis Belle during missions, was selected as the 91st Bomb Group's first crew to return to the US to consult with the War Department and participate in a promotional tour across the country. In July 1943, he married Peggy, then completed Cadet Training as a 2nd Lt. Navigator. He was dual training as an engineer-navigator in B-29s when the war ended. The couple returned to Atlanta where he obtained an industrial engineering degree from Georgia Tech. After briefly working as a consulting engineer, he joined the USSS in March 1951, four months after the assassination attempt on President Harry S. Truman. Initially, he worked in the Atlanta Field Office, but in 1952, he transferred to Washington, DC, where he began his career in presidential protective duty. He served President Truman during his last few months in office and President Eisenhower during his two terms. Youngblood was briefly assigned to President Kennedy's protective detail, but then became the Assistant Special Agent in Charge of Vice President Johnson's detail traveling with him on multiple foreign and domestic trips—often with only a few other agents. Youngblood had just been promoted to Special Agent in Charge of this detail before the trip to Dallas, Texas, where the tragic assassination of President Kennedy occurred. Lauded as a hero for quickly vaulting over his seat to use his body to shield Vice President Johnson, Youngblood considered the media attention overstated. He contended that he was "just doing his job" and that the other agents would’ve done the same had they been in his position. 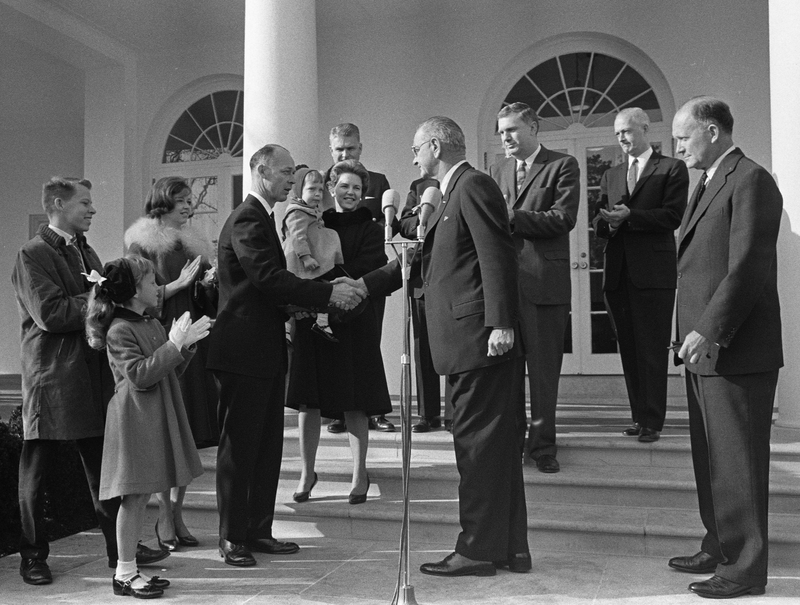 Upon President Johnson's recommendation, Youngblood was awarded the US Treasury Department's Exceptional Service Award for his "heroic actions" during the assassination. Agent Clint Hill, who bravely leapt onto President Kennedy’s limousine while shots were being fired, was also honored with one of these awards. 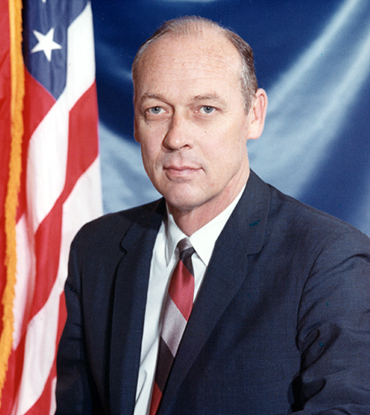 In 1965, Youngblood was promoted to the head of the White House Detail, then in 1969 to deputy director of the Secret Service. He continued working in this capacity during President Richard M. Nixon's first two years of presidency, then retired in 1971. In December 1973, Youngblood published his memoir 20 Years in the Secret Service: My Life with Five Presidents. He then returned to Georgia with his family where he briefly resumed protective work as head of Atlanta's security detail during Jimmy Carter's 1976 presidential campaign. He later became a real estate agent in Savannah and a master gardener. He enjoyed spending time with Peggy and his growing family of four children, their spouses, and eight grandchildren. He died in 1996 at the age of seventy-two from complications of lung cancer. After all that happened in Dallas, our father trusted Rufus completely. They shared a special connection. No question, Daddy was a difficult taskmaster. Not wanting to be bridled, he often rushed into crowds not wanting to follow Secret Service requests. Rufus knew how to work with him. I never saw any breakdown in trust on either side. All of our family respected and loved Rufus. Rufus was a patriot and a friend. He was an elegant gentleman who put his country first and did his duty always. We loved him dearly. His story is a noble one that deserves being shared. It was my genuine honor to have known Rufus. When I arrived at the White House in 1965 as a very young (twenty-three-year-old) presidential aide, Rufus already had become somewhat of a legend because of the publicity surrounding his heroic actions in Dallas. We both had personal family roots in Macon, Georgia, and became good friends over the years. "I saw Rufus catch hell from President Johnson—at times when he did not deserve it. I also saw Rufus standing duty in rain, in snow, in storms—never asking more of the agents who worked under him than he did of himself. I saw him splattered with red paint from anti-war protestors in Australia. The life and times of a true American hero are captured magnificently within the pages of this book. During my career in the U.S. Secret Service, I worked very closely with and for Rufus Youngblood. During these years, I was always impressed with his work ethic and devotion to duty. I am proud to have worked with such a man and to have been his friend. He was truly an agent who lived up to the Secret Service code as ‘Worthy of Trust and Confidence. 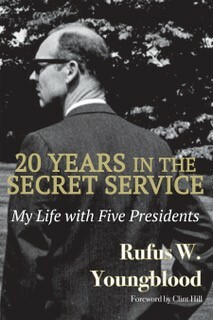 I began working in the U.S. Secret Service in 1955, during President Eisenhower’s term, and I worked with ‘Rufe.’ Over the years, I saw his leadership help modernize the Secret Service. He was a great asset to the agency and a great man to work with. I'm pleased to be asked to recall the friendship and contributions of Rufus Youngblood, whom I knew as an outstanding symbol of the United States Secret Service. I was a member of the White House Press Corps, so for a long time I had the pleasure of seeing or talking to Rufus and observing his dedication to duty. He was always pleasant, yet always a Secret Service agent fully occupied with the assignment at hand. Rufus's bravery during the tragic events in Dallas was not surprising. His trained reflexes took over at the sound of gunfire. He never lost his sense of duty to country nor worried about his own safety.